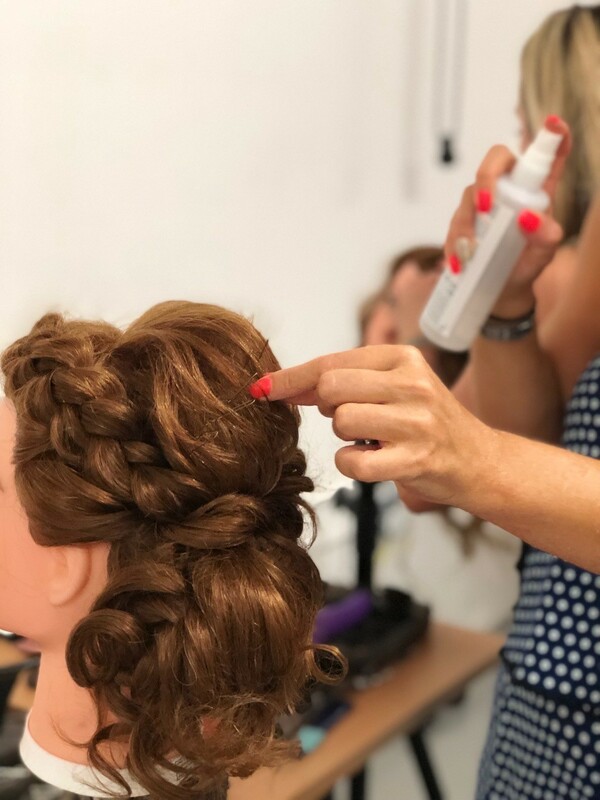 We’ve gone from strength to strength, adding more and more amazing courses, introducing online bridal hair training so that our students now span the globe, picking up Habia endorsement so you can rack up those invaluable CPD points for every hour you train with us. It’s fair to say that we’re well on our way to taking over the world with gorgeous bridal hair and makeup! But it’s not just us who have changed – the whole industry is forever evolving and, as with any fashion, so are the looks that are clients are demanding. 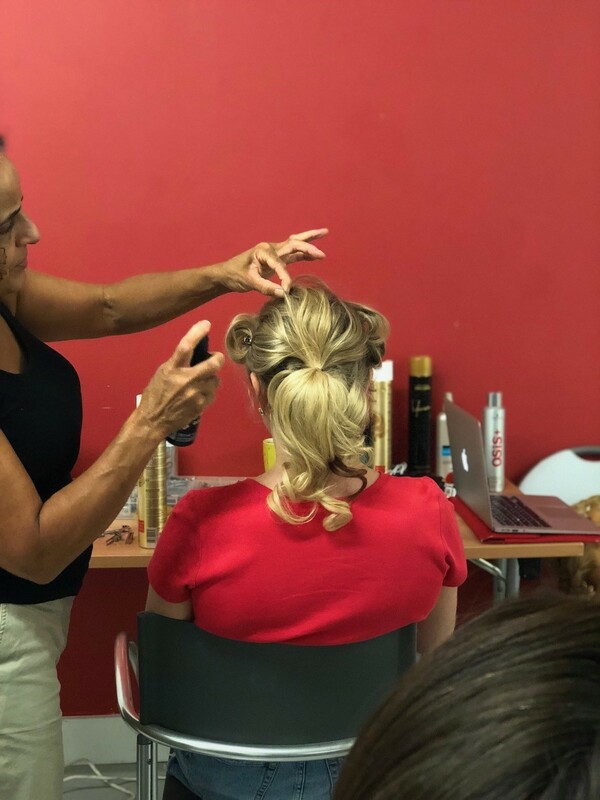 Fortunately, as Pam Wrigley (our founder and head trainer) is still very much a part of the action, working as hair and makeup artist to brides and many VIP clients every week and winning awards for her tremendous achievements left right and centre, there’s no stagnation in the looks we teach our students. Pam is totally on the ball and up to date with the hottest bridal looks and she’s made it her mission to share it all with you! 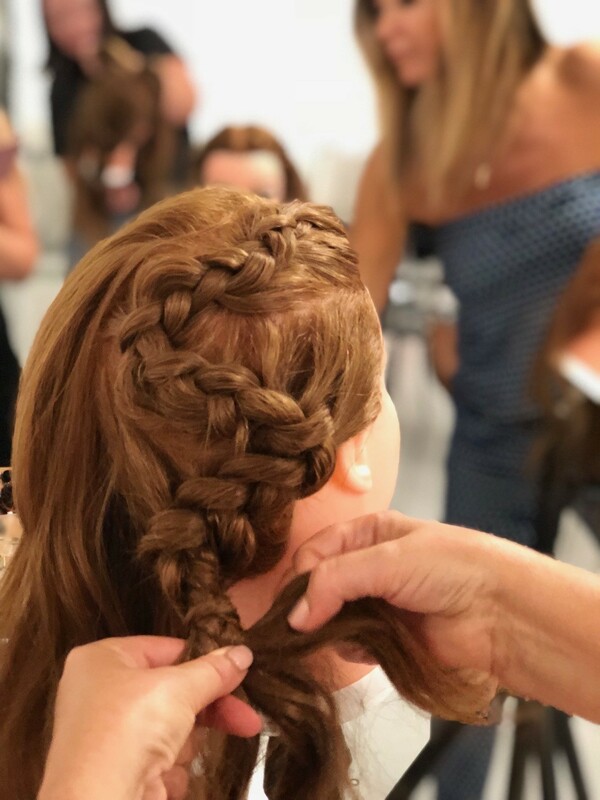 Because of this, we’re always updating our 2-day bridal hair course (and forever adding new tutorials to our online bridal hair course too! 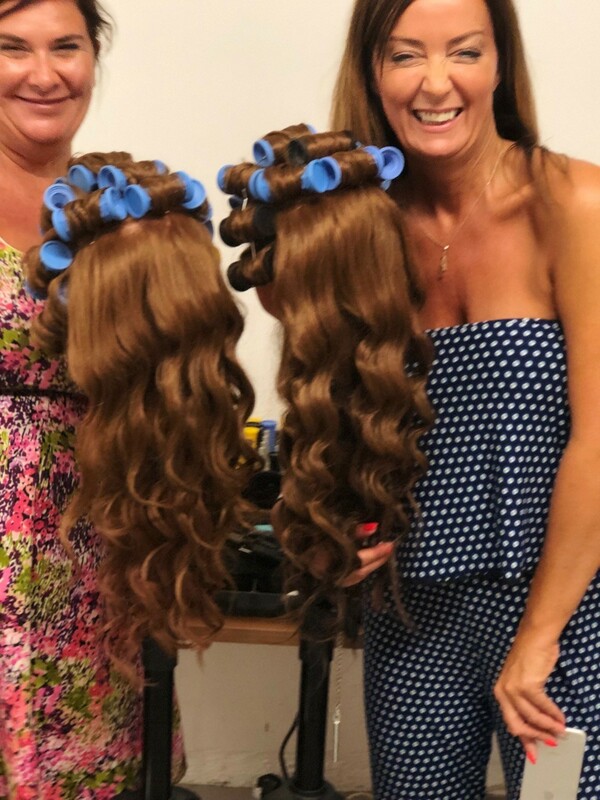 ), so our students not only learn how to prep the hair – using tongs, wands, heated rollers, how to secure hairstyles so they never fall out and incorporate lovely veils and accessories, but they also learn how to create the latest looks to ‘wow’ their clients. 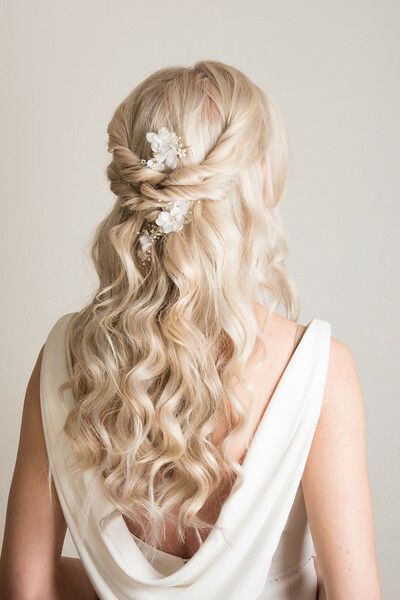 Alongside the most fashionable bridal hair styles, we also teach those timeless classics: Beautiful waves and curls, half up/half down dos, textured up-dos for both long and short hair!) and of course, the ever-popular braids. 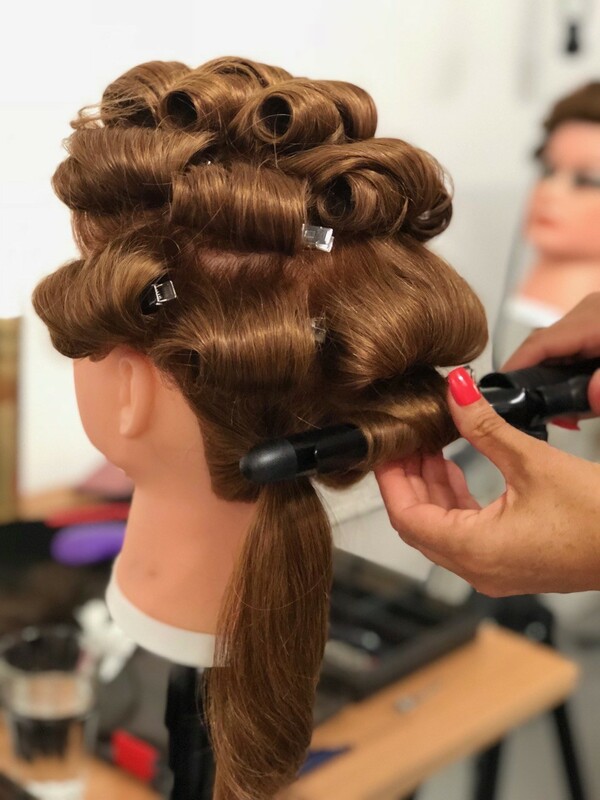 But, although we do take you through certain styles and welcome our students to ask about particular bridal hair styles they would love to learn, what we really pride ourselves on is the fact that in learning set looks, you are actually discovering the techniques you need to create ANY style! And we’ll show you how to transfer them. 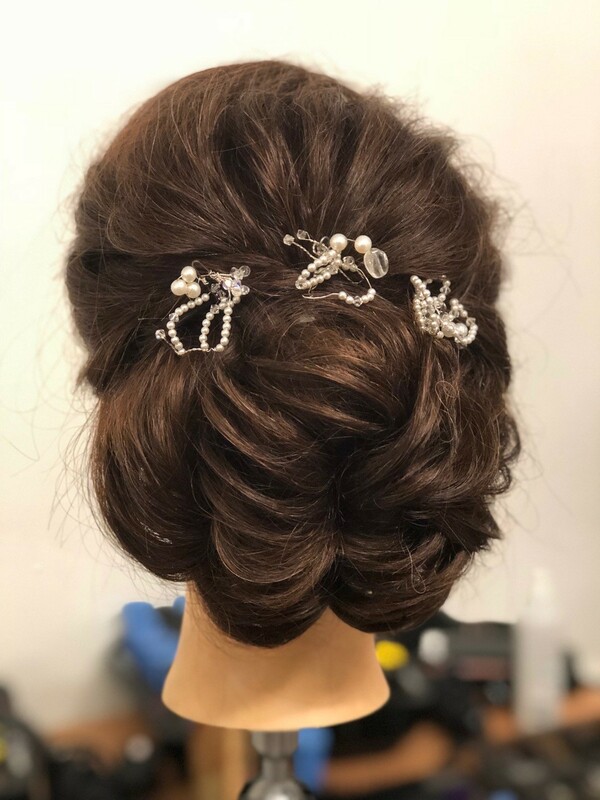 Regardless of your experience when you enter the studio on day 1, you’ll leave us feeling confident enough to turn your hand to almost any bridal hair style you can think of, armed with the very best techniques learned throughout Pam’s 25 years in the wedding industry. 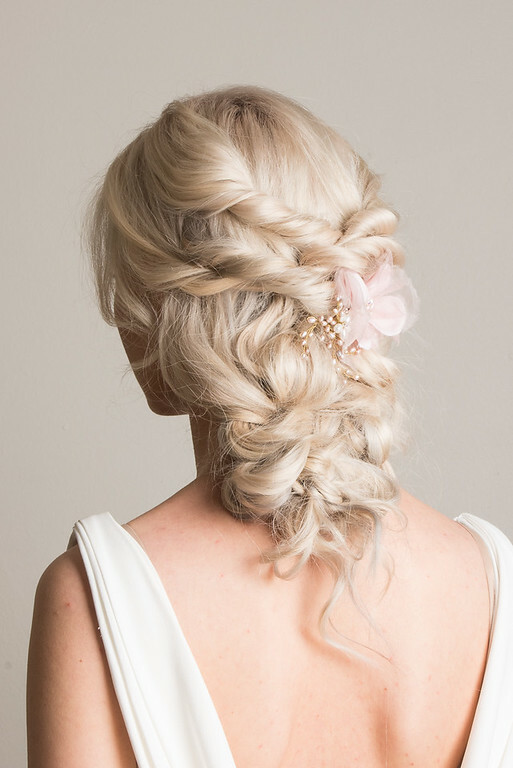 Join us for 2 days of amazing bridal hair training! 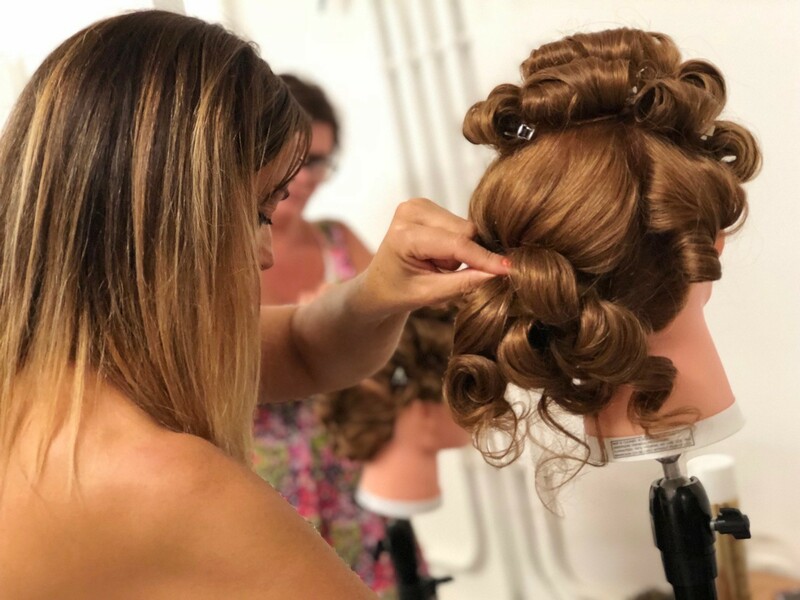 What’s more, is that now our 2-day bridal hair course students are now invited to join us online as well, as 6 months access to our online course is included in the price. 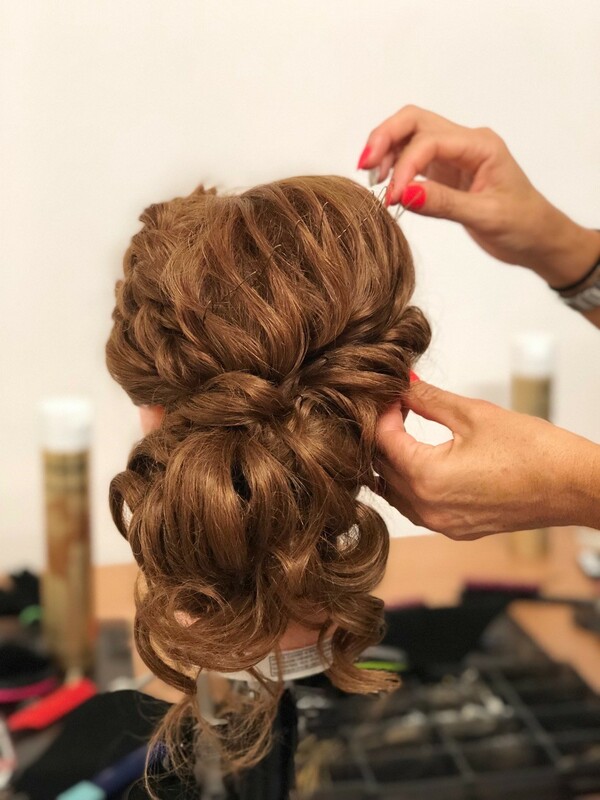 This means that when you set off to embark on your new or newly flourishing career as a bridal hair stylist, you’ll have Pam in your pocket, via the ‘ask pam’ tab for 1-2-1 support or the quick tip videos and in-depth tutorials, for expert assistance whenever you need it. Meghan Markle’s Bridal Hair & Makeup – The Look We’d Love to See!